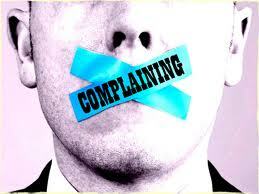 Is A Complaining Customer A Good Customer? Home/Blog, Building a Brand, Change, Competitive Advantage, Customer Service, Reaching the Consumer, Web/Tech/Is A Complaining Customer A Good Customer? I know lots of customers that would disagree with this statement. If you’ve ever had a customer complaint on line than you know what I’m talking about. I have seen some mighty disagreeable comments that wouldn’t seem to go away. How do you counteract these things? The first thing is to have your “great” customers post loving comments about your service, your staff and your products. This way if you have any negative comments there’s a possibility they will get lost in the good ones or the complaining person looks like a nut job to the rest of the readers. My experience is that most businesses don’t “stack the deck” with great comments to counteract the possible nasty ones before they occur. When a nasty comment is written, it is glaring. I found myself the target of one of these feuds. A client of mine got some bad press for posting a photo without giving credit to the photographer. The title of the blog charged the customer with something other than the above which was not only incorrect, but slandering. I pointed out the error of the title and immediately someone else became annoyed at me. (By the way, I checked with a lawyer first about my concerns which turned out to be correct.) The title charged the customer with a very serious crime, obviously the writer didn’t understand what he was writing. Online remarks can get very sticky. One of our local supermarkets received an unflattering comment on Twitter which was responded to by an employee of the market. The employee was so upset he went to the commentator’s boss and suggested the person be fired! The target took his case to the local newspaper and the rest is history. Last year I was curious about a local luggage store so I went online for testimonials. Much to my dismay, there was more than one nasty comment. When I went to the store to have my Tumi luggage fixed, I told the manager about the comments. His reply, “I never noticed”. Needless to say they closed the following month; they had been in business for over 20 years. Manage your own publicity; get your happy customers to post great comments. Post articles of value for your customers; articles that make them smile, feel special and get valuable information. Be aware, watch for comments, Google your business to see what’s being written about you and your business. Sign up for Google alerts. Blog about your great customers. Interview your customers about their families and their businesses. Make your customers your business partners. Great customer service means giving your customers what they want and possible helping them to stay in business.Consider the bank or insurance company that provides valuable workshops on marketing and sales for their small business customers. By the way, I couldn’t find any. But it stands to reason if your customers can’t stay in business neither will you!